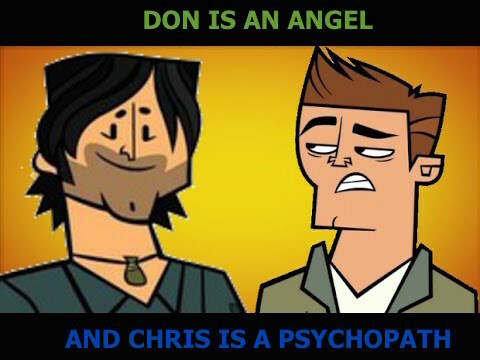 Don is a nice host, and one of the nicest guys on the show, but I can't fathom why he gets the hate from most peminat-peminat of "Total Drama". Even after Chris has done awful things on the show. People think he has replaced him, even though RR is an entirely different tunjuk from TD, they just take place in the same universe.